At Barkoff Dental, we proudly provide CEREC single visit crowns in Woodbury, NY. Call 516-921-1133 to schedule your appointment! Chairside Economical Restoration of Esthetic Ceramics (CEREC) is a revolutionary technology for restoring damaged teeth in a single visit. It makes your teeth stronger and more beautiful, yet entirely natural-looking. Chairside: We can fabricate your new crown while you wait, in about 15 minutes. The entire appointment, including removing all decay and preparing your tooth, will take about an hour. Economical: CEREC is less expensive than traditional lab-created crowns, since your crown is created right in our office. Restoration: Your single visit crown restores your tooth’s strength, function, and beauty. Esthetic: Your beautiful, natural-looking crown will blend well with the rest of your teeth. Ceramic: The high-quality, metal-free dental porcelain is strong, durable, and biocompatible. It closely resembles the color, sheen, and translucency of a natural tooth. We believe strongly in patient education, so the first step is a thorough discussion of the procedure and what to expect. We will also answer any questions you might have. Next, we will remove all traces of damage or decay, and prepare your tooth to receive the crown. Then we will apply a thin layer of reflective powder to your tooth and take a photo with a special 3-D imaging camera. 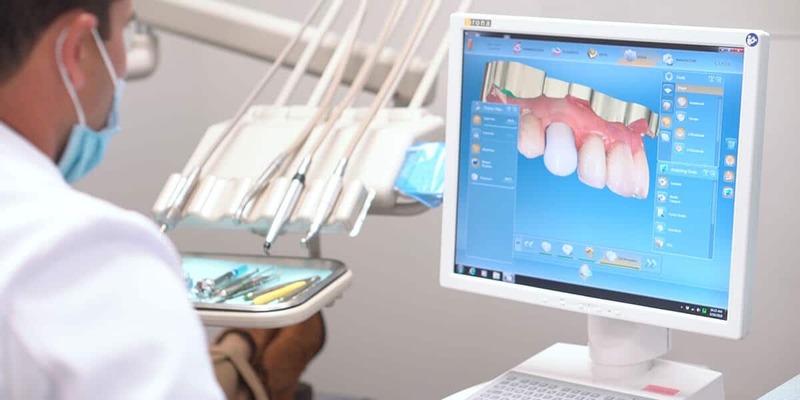 While you wait, we will use CEREC’s proprietary software to design your personalized restoration, ensuring proper form and function. Then, CEREC will use diamond burrs to create your crown from a block of dental porcelain. Finally, we will use state-of-the-art adhesive dentistry to bond your new crown to your tooth. 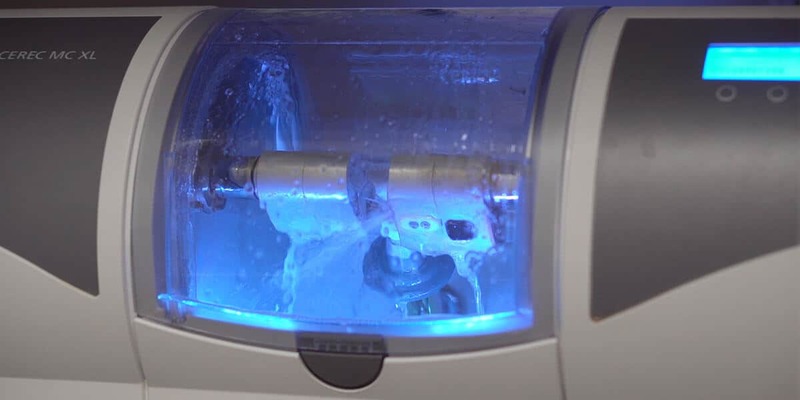 Time: While traditional lab-created crowns require two separate appointments, CEREC crowns are made in one visit. This means that you do not need to take extra time away from your job or family. Comfort: Traditional crowns require goopy, uncomfortable impressions. You must also wear an ill-fitting, uncomfortable temporary crown while your permanent crown is made. With CEREC, there is no need for either messy impressions or a temporary crown. Fillings: CEREC material and technology can also be used for fillings. Since these fillings are made from high strength ceramics, they are more durable than white composite fillings. Call Barkoff Dental at 516-921-1133 to schedule your appointment!